The report calls for mandating that software vendors include message preview and cancelling features in their alert software. 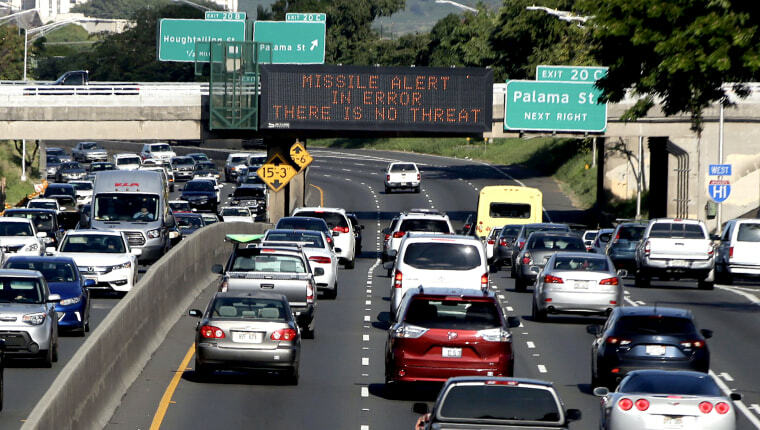 HONOLULU — The U.S. Department of Homeland Security's inspector general is recommending changes to the nation's emergency alert system after Hawaii officials in January mistakenly warned the public about an incoming ballistic missile. The report calls for mandating that software vendors include message preview and cancelling features in their alert software. It recommends requiring that software vendors provide training to officials using their products. The agency issued the report last week after U.S. Sen. Mazie Hirono of Hawaii asked it to examine the Federal Emergency Management Agency's role in the false missile alert. Multiple investigations blamed the alert on human error and inadequate management safeguards — factors outside FEMA's purview. The recommendations don't address those causes, but address alert problems identified in other states. FEMA says it agrees with the recommendations.